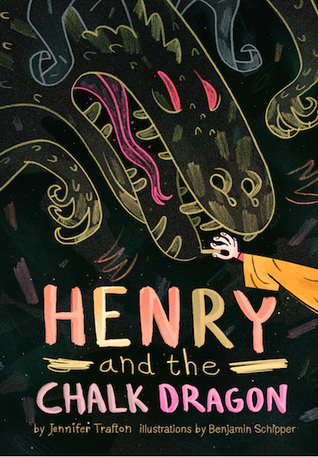 I’m sitting alone-- which is quite rare-- listening to peaceful classical music in the background, delighting in the culmination of Henry and the Chalk Dragon by Jennifer Trafton. This wonderful tale has the ability to capture the imagination of adults and children alike! Read this aloud to your children and you’ll surely find yourselves laughing one moment and contemplating a deep idea the next. If your child thinks she is the only one with a vivid, wild imagination, this is the book for her. Is your eight year old drawing in sketchbooks, maybe even on walls, at every spare moment creating a world of his very own? Then he will immensely enjoy this whimsical and delightful story about a boy who doesn’t appear to see what is in front of his very eyes, what, according to others, is ‘real’. It’s a joy as a mother to see how stories have shaped my children’s imaginations. My oldest daughter has an especially vivid imagination and still enjoys initiating or inventing story lines to act out with her siblings on a regular basis. At times, she has expressed feeling a little embarrassed that she spends much of her free time acting out stories. I know my children will find a friend whom they can identify with in Henry. I bet yours will too. Reading this felt convicting to me in my own motherhood journey. How often do I focus on petty things that don’t really matter in the bigger picture of life. Does it really matter if my daughter wears a dress to church? There was a time when it did matter, but I choose to let go of my preferences, and let her be creative and a decision maker. She often wears jeans, 2 baggy shirts (that clash), un-matching socks, and maybe even water shoes in the winter. Let the inner artist reign! So...Do you or your child have an artist inside that needs to come out? Read this and be inspired on your journey to imagine the possibilities for goodness and beauty. Be brave. Be brave. Be brave, says Henry.